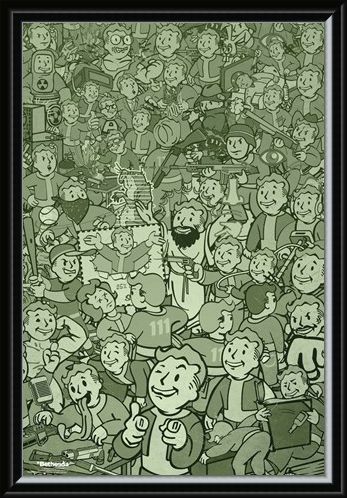 The Fallout video game series is one of the biggest contenders in the video game industry, with a whopping 12 million copies of the latest game, Fallout 4, being sold within the first 24 hours of it's release. 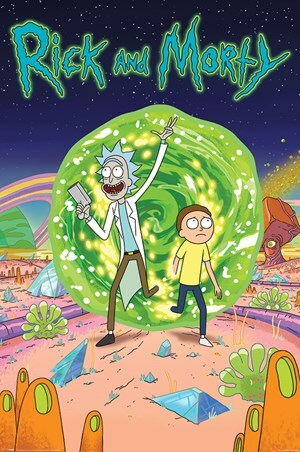 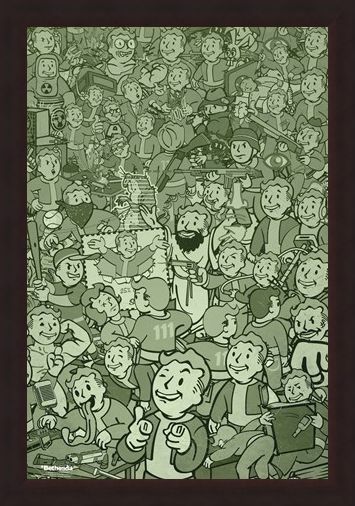 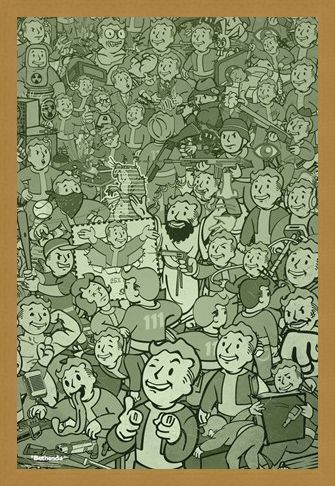 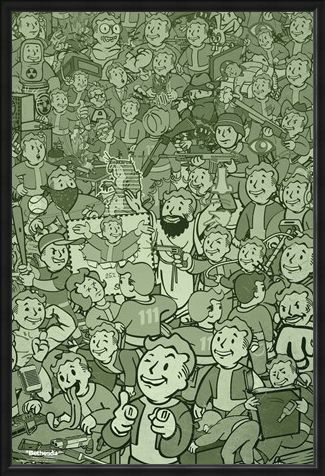 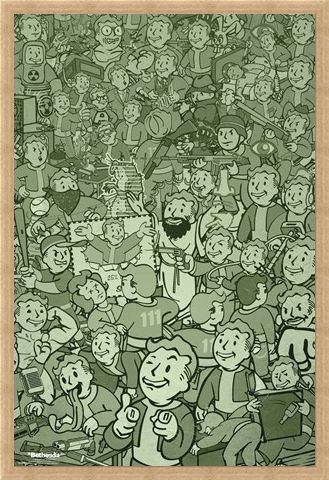 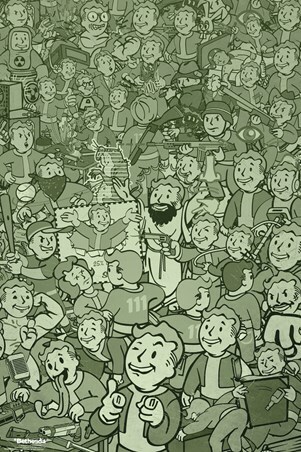 Featuring a compilation of poses from Vault Boy, the mascot of the game's fictional corporation, Vault-Tec, this poster is the perfect gift for any Fallout fanatic. 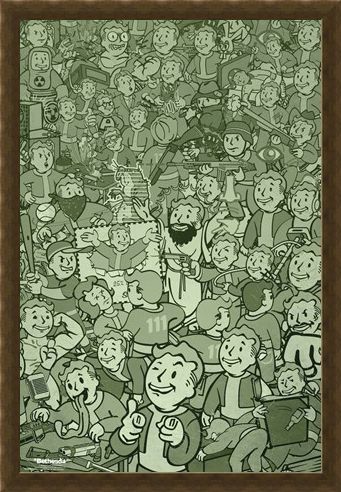 High quality, framed Vault Boy Compilation, Fallout poster with a bespoke frame by our custom framing service.